Rad Canyon BMX is just that.. Rad! 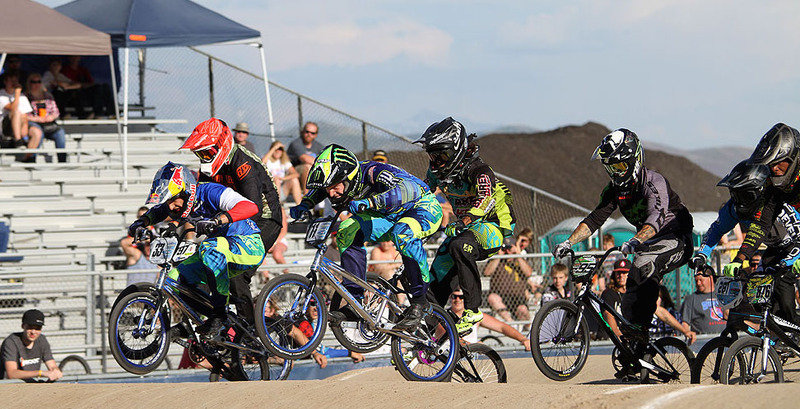 One of the best BMX tracks in the West, the Utah BMX track has seen a lot of great Pro battles on it, and the ultra fast first straight away and paved first turn lets the riders really hang it all out on way to BMX all out racing. 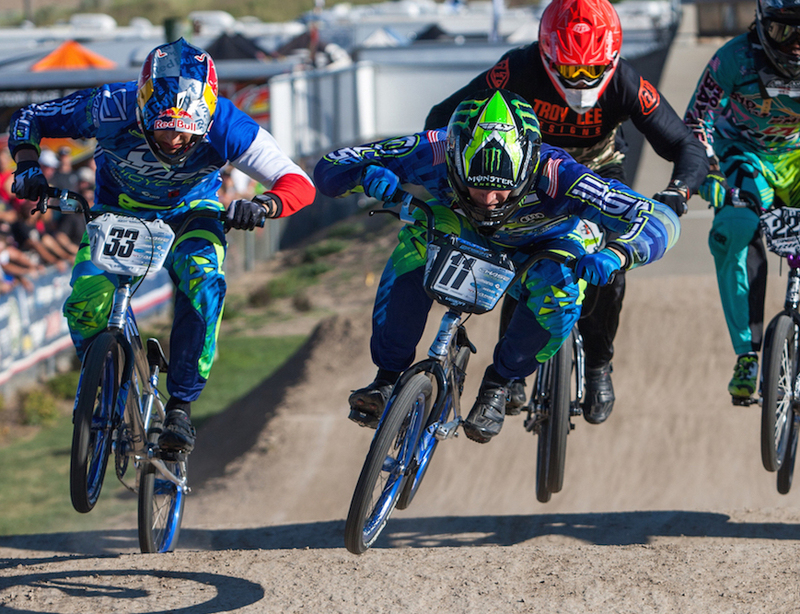 Connor and Joris both have been consistently atop the USA BMX podium the past few events, trading wins, as well as the top spot in the USA BMX overall points battle. Things started off the same for both riders, as in early qualifying rounds on Friday, they were both taking wins. One thing that was a bit different was Connor riding Joris bike in one of the motos. Connor, seemed to get a thorn in his tire and it went flat just as he was getting ready to race. Joris, being the nice guy he is, just finished his lap, and lent Connor his bike, to which, Connor went out and won the moto on. Different size frame, but same result, showing Connors skill and determination. Both riders made their way into the main event, where, they have to deal with the current UCI World Champ Sam Willoughby. Sam, had the best gate of the three when the main event started, and they would rifle down the first straight all looking for a place to pass. Sam held the lead, and in the last turn, Connor turned on the after burners, and made a last ditch effort for the pass, but at the line, was just inches behind same. Connor would settle for 2nd, with Joris in 3rd. On Sunday, the 2 were once again in the main event, but things were a bit different in the main event. Connor got a good start, but good doesn’t always cut it in AA Pro. He was stuck on the outside and had to go the long way around and best he could get was a well earned 4th place in the final. Joris had even worse luck, as he unclipped into turn 1 and that pretty much ended his night, and finished up the weekend with a 8th. The guys now get ready for some big events – Connor will be racing the Pan Am games in Canada, while Joris will be heading to Europe to race the Europe Games in Baku. 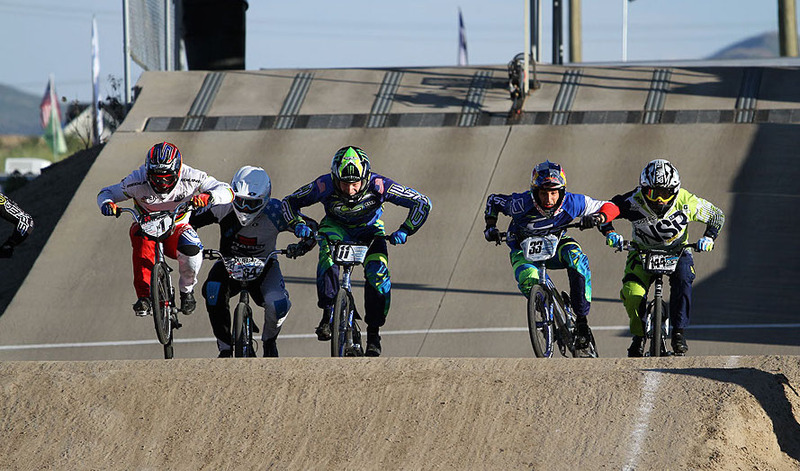 Then the guys will meet up at the UCI BMX World Championships in late July. Thanks as always to our great Chase BMX team supporters: Shimano, Tioga BMX, Fly Racing, Kicker, G Form, KMC, ODI, Insight, Elevn, Kingstar, and Excess.